This site features the poetry of Jeff Worley, who has published five books, three chapbooks, and has edited a poetry anthology, titled What Comes Down to Us (University Press of Kentucky, 2009). 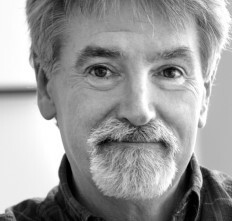 Jeff’s poems have also appeared widely in magazines in the United States and Canada for the past 35 years, and he is the recipient of numerous awards and honors. Find out more about his work, read sample poems, or purchase books.